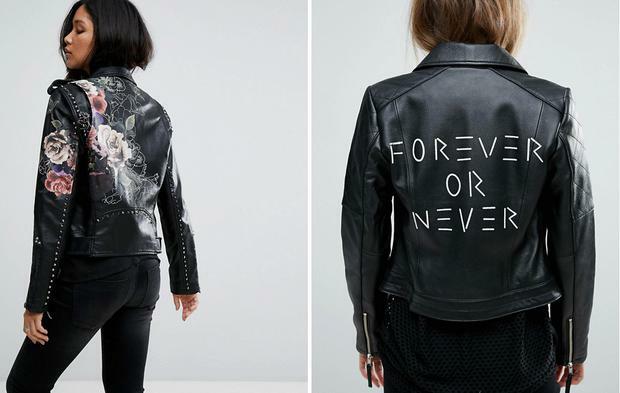 Which is why we're currently falling head over heels in love with personalised 'Just Married' biker jackets - arguably the coolest wedding trend taking over social media at the moment. 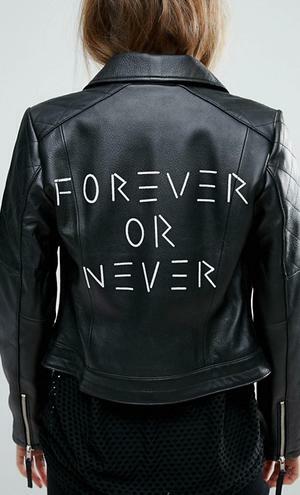 The trend may be traced back to Kim Kardashian and Kanye West, who wore matching Just Married leather jackets with designs by Brooklyn artist Wes Lang for some edgy photobooth pics when they tied the knot at their lavish Italian wedding back in 2014. However brides are putting their own stamp on things and making the trend all the more beautiful with custom-made Mr and Mrs jackets that are absolute Insta-gems. Rosie Harbottle, the illustrator behind Wolf and Rosie has seen her hand painted jackets become hugely popular in recent months, so much so that she is no longer taking commissions for her work, having been booked out by couples looking to achieve that elusive 'something different' in their wedding day wear. Her work has featured in several styled photoshoots and her jackets have been stocked by Topshop in England as part of a wedding collaboration event. Rosie operates a waiting list for customers who can be catered for if a commission becomes available. Elsewhere, entrepreneur Laurén Bienvenue quit her job in PR to set up her shop 'Once Upon a Lauren' on Etsy, which specialises in hand-painting vintage leather jackets. Once Upon a Lauren offers a custom package with three unique details - a hand-painted flower design, custom 'Mrs', 'Wifey' or 'Just Married' title and a small personalised message that can be placed anywhere on the jacket. Lauren has a shop on Etsy at etsy.com/shop/onceuponalauren where ready-painted jacket prices average €170-€200. If the idea floats your boat, but you don't fancy waiting around for yours, another way to go about getting the look is to purchase your jacket illustration-ready. We spotted some gorgeous alternatives on asos that can be worn as is, or could provide a good base for a personalised paint job (see below). With the winter season setting in and couples on the hunt for a fun cover-up for their big day (or engagement shoot! ), we suspect we'll be seeing way more of these gorgeous get-ups around.